Not a whole lot happens in "The Empty Hours," a new Mexican film written and directed by Aarón Fernández Lesur, here making his second feature (his first was 2007’s "Used Parts"). The main characters don’t even learn each other’s names until about an hour into the picture. The movie has a small story but a big theme; the theme being experience, and it conveys the emotions and moods of its characters by taking things nice and slow. That works to the movie’s advantage because its actual story is not an unfamiliar one. Sebastian (Kristyan Ferrer) is a still-boyish 17-year-old whose ailing uncle entrusts him with the oversight of his love motel in desolate Veracruz while the uncle goes off to have his medical issues addressed. Sebastian is seemingly game—he’s given his uncle the impression that he wants to learn the lodging business—but he’s really not sure what he wants, and he initially balks when told he’s going to have to do the room cleaning until the night manager hires a new maid. Said night manager is pretty lax in almost every department, so Sebastian ends up doing a bunch of duties longer than he thought he would, but he doesn’t seem to mind. Largely, it seems, because there’s not much else going on in the general vicinity. At some points, he notices the young woman Miranda (Adriana Paz), who, we learn, is in the area to sell a bunch of condos; the motel is where she entertains herself with her indolent lover. As the lover becomes more indolent, and less reliable, Miranda strikes up an acquaintance with Sebastian. And, it is not really a spoiler to say, certain things lead to other things. What makes the difference with this movie is its almost seductive sense of space. The color palette of “The Empty Hours” mixes subdued blues and grays with skin tones of tan and walls of white; the visuals are as relaxed as the pacing. As a result the alliance between Sebastian and Miranda comes about in a way that seems organic as opposed to contrived or forced. It’s also commendable that Lesur spends as much time and energy detailing Miranda’s emotional landscape as he does Sebastian’s; movies such as these have a general tendency to celebrate the male character’s coming of age, and treat the female who provides the epiphany-into-manhood-or-something-like-it as a kind of accessory. "The Empty Hours," then, manages to be a movie that’s genuinely about the two lonely people who form its core. It depicts their interactions with delicacy, perception, and genuine, albeit gentle, humor. As most movies of its kind do, it ends leaving its characters in a somewhat suspended state; part of the wisdom of this movie is that it depicts life as something that often leaves those who live it in a state of suspension—it isn’t all “defining” moments, and, as it happens, the defining moments can be the ones whose significance we don’t realize as they’re actually happening. "The Empty Hours" conveys all this in a way that’s modest but also engaging, provided the viewer is ready for its almost casual rhythm. 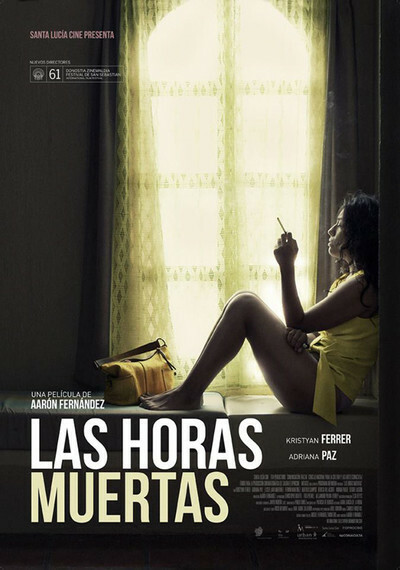 Not trying to make any galvanic statement on behalf of either its director or contemporary Mexican cinema in general, the movie impresses nevertheless.